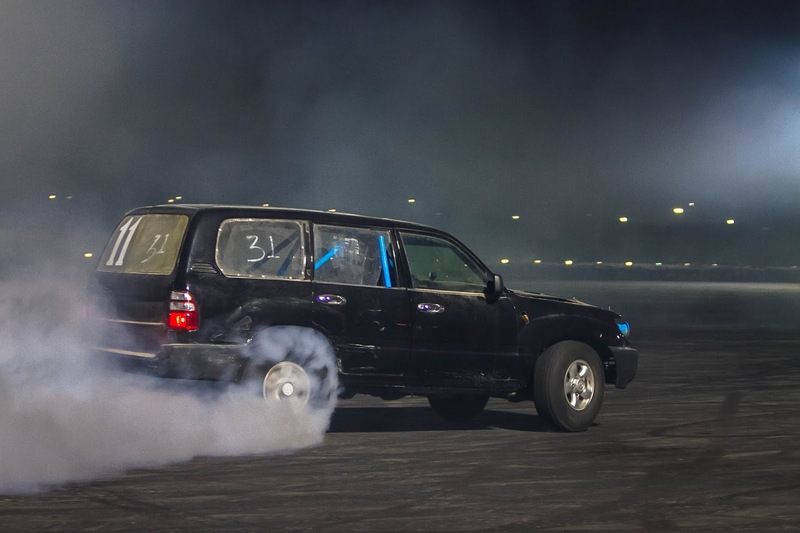 This drifting phenomenon is called "hajwalah," or "tafheet," and in parts of the Arab world, it's how some thrill-seeking teenagers get their fill. 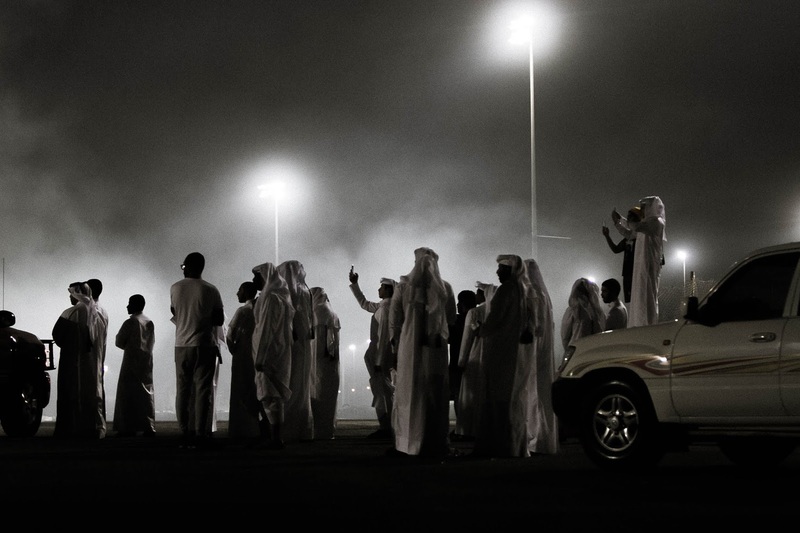 Qatar Racing Club is the place to be and catch up with some of the best Freestyle Drifting in the Arab world. 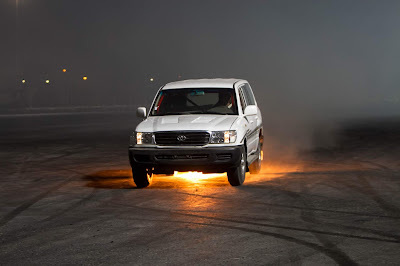 These photos and video embedded follows a drifting competition, numerous open track days, track rental days, highlighting different aspects of freestyle drifting otherwise known as 'hajwalah' in Qatar, though in unusual circumstances, here in Doha it is illegal to freestyle drift in the streets. That brings us to the Qatar Racing Club in the East Industrial Area of Qatar! 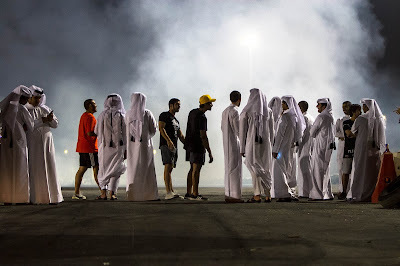 Qatar Racing Club is the result of Sheik Khalid bin Hamad Al-Thani’s unbridled passion for cars and motorsport, and his drive to establish motorsport in Qatar and to put the country on the world motorsport stage. 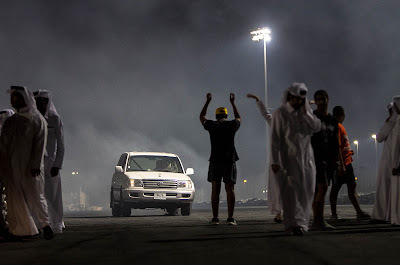 The venue is host to the world’s flattest quarter-mile drag strip, its own customizable drift circuit and is the home of the Arabian Drag Racing League. 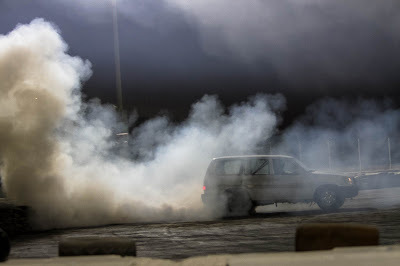 It also features the workshops of Al Anabi Racing – a fully-equipped parts shop and garages for local drivers to store and work on their own cars. It’s an impressive setup, no doubt. 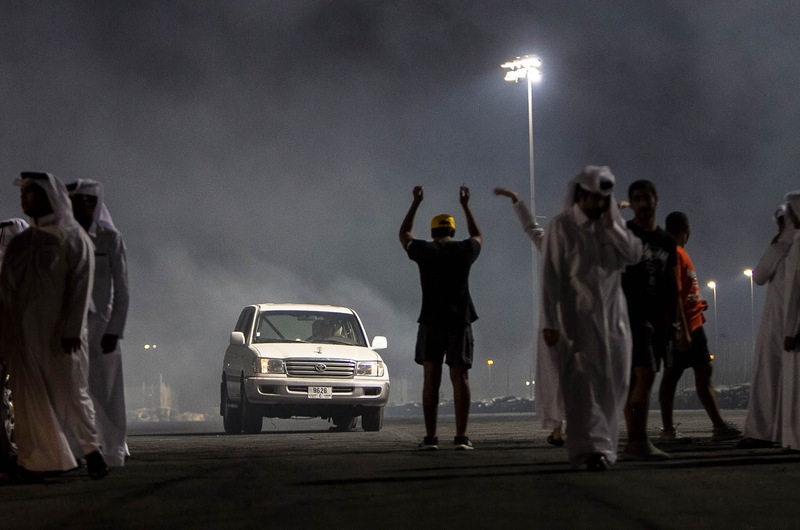 Even more so when you consider that motorsport is still in its relative infancy here. It’s not just drifting, drag racing or sand drags that draws the hugest crowds, there’s a host of non-traditional (by international standards) motorsports which are practiced here too. One of the most popular and fiercely competitive divisions is two-wheel driving and freestyle drifting. 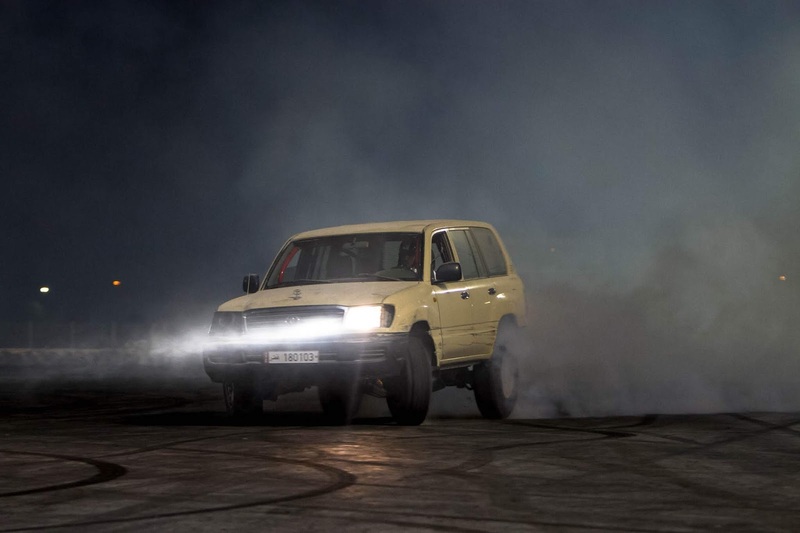 Of these two the biggest attraction is Freestyle Drift. 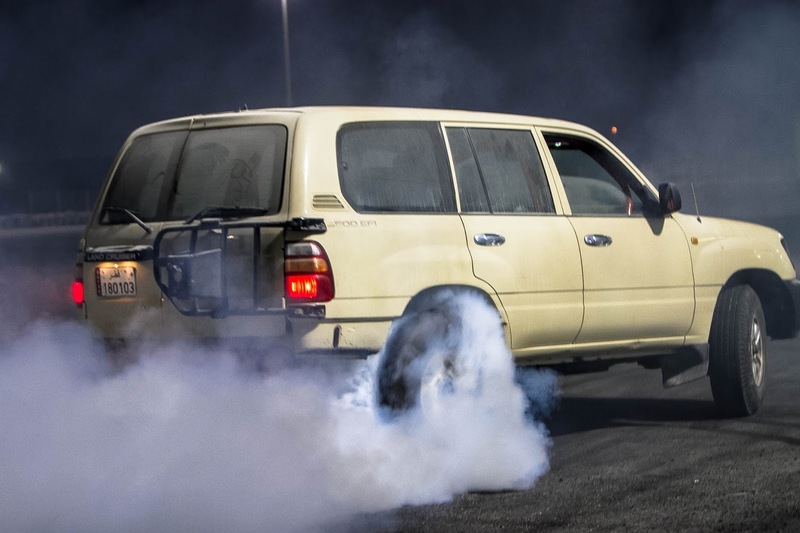 I had absolutely no idea how this is judged, but it’s essentially who can kill their tyres in the most creative and aggressive way possible. Burnouts, donuts, drifts, 360s, J-turns are all a part of this puzzle. Qatar Racing Club customizable drift pad allows it to host the biggest 4X4 Freestyle Drifting, either for freestyle drift rentals or a championship that was formerly co-organised with Mawater in the past. On this day, it was track rental day! We didn't have the whole day or night, but the less was enough to inspire this blog! It's "the same as any teenage man seeking an activity with as much machismo possible," Garritano said in his well-documented series on the CNN Journal"But they have money to spend and only so many ways to spend it." 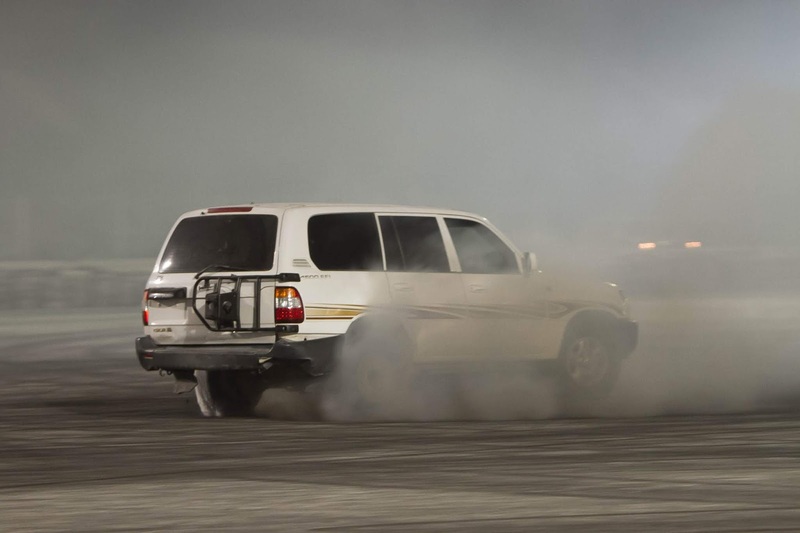 "People think we're hooligans, but there are hooligans everywhere," the drifter told Garritano. "We just happen to be hooligans with money.